Technician or your Local Nissan Dealership for Installation. 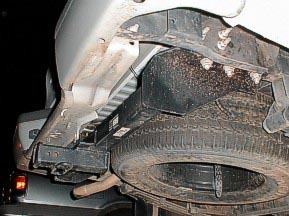 hitch specific to the vehicle you own. the Class 3 specifications and is specifically designed for the 2001 Nissan frontier pickup. it dry. This will keep you much cleaner during this process. 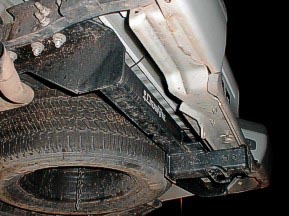 side) that hold the bumper in place. 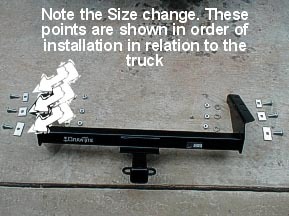 The hitch comes with several pieces of mounting hardware that go in a VERY specific order. Care should be taken that you get the right hardpoints in the right holes. 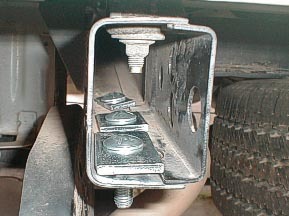 be sure the bolts are seated properly in the square holes on the hard points. 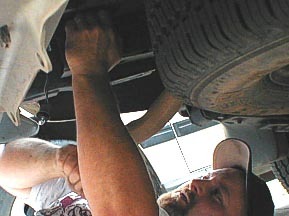 Be sure to torque the bumper bolts down to the proper specifications. 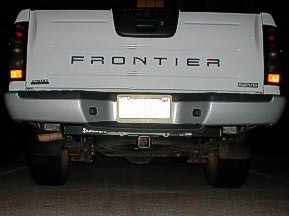 The bumper is a SAFETY DEVICE on the truck and great care should be taken to ensure it is installed correctly and all bolts are tightened to OEM Specifications. 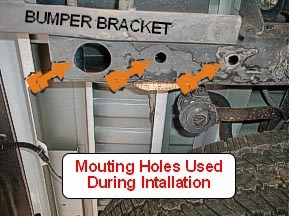 Once it is in place and tight, place the hitch on your stomach and slide under the truck, orientating the hitch in the position it is to be installed. Have your friend hold one side of the hitch up while you hold the other side up. Align the bolts and hand tighten the nuts in the hitch. Now, move to the other side, and relieve your friend. Hand tighten these bolts. 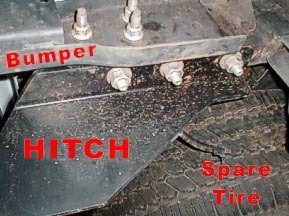 The hitch should now be hanging from the bolts on either side. 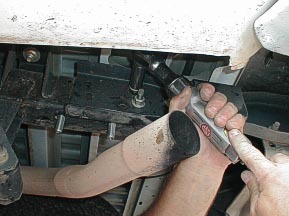 Using your impact wrench (or wrench) tighten the bolts according to manufacturer’s specs. 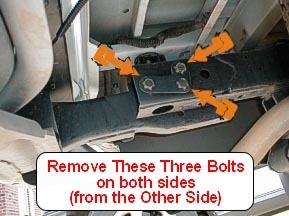 get the bolts properly tightened. DISCLAIMER: DIY AT YOUR OWN RISK. NICO CANNOT BE HELD RESPONSIBLE FOR ANY DAMAGE DURING OR AFTER YOUR INSTALLATION.